Learn to use music from the rich heritage of the Spanish-speaking world to nurture your family’s language and literacy skills in the highly interactive workshop. 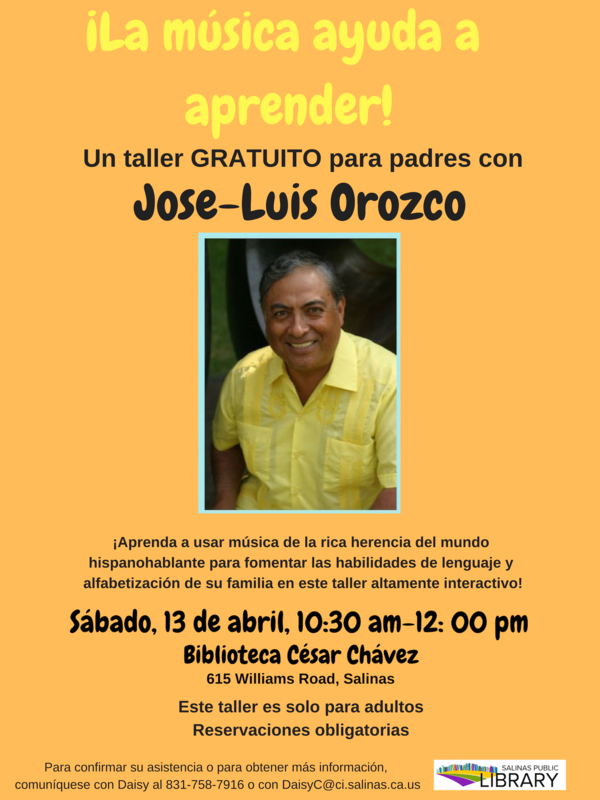 The workshop is lead by Jose-Luis Orozco, a bilingual children’s author and recording artist. This workshop is bilingual and for adults only. Reservations are required.